Hey There! I’m Gwen Smith. I want to help you know and trust God more. I keep things real around here. Most of us don’t have time for fluff, so honest faith is what I’m all about. I won’t pretend to speak from a platform of perfection… because I’m as imperfect as you are, and I struggle just like you do! 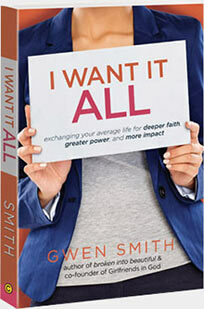 And I’m pretty sure we want the same thing: the full, abundant life Jesus came to give us . . . in spite of our feelings, failures, frustrations and fears. Those who know me best say I’ve never met a stranger. True story. I genuinely love people. And I love to laugh. Loudly. As a wife, mom, sister, friend and working woman, I understand how challenging it can be to know and trust God in the messy middle of it all. 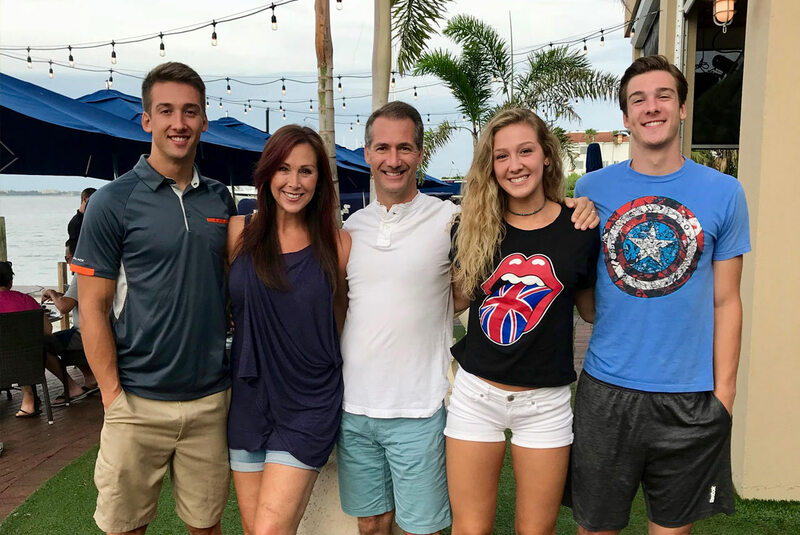 Life, family, careers and faith are complicated. So on the pages of this site and in the heart of ministry I work hard to connect God’s strength to your strains. I do this in several ways… I speak at events. 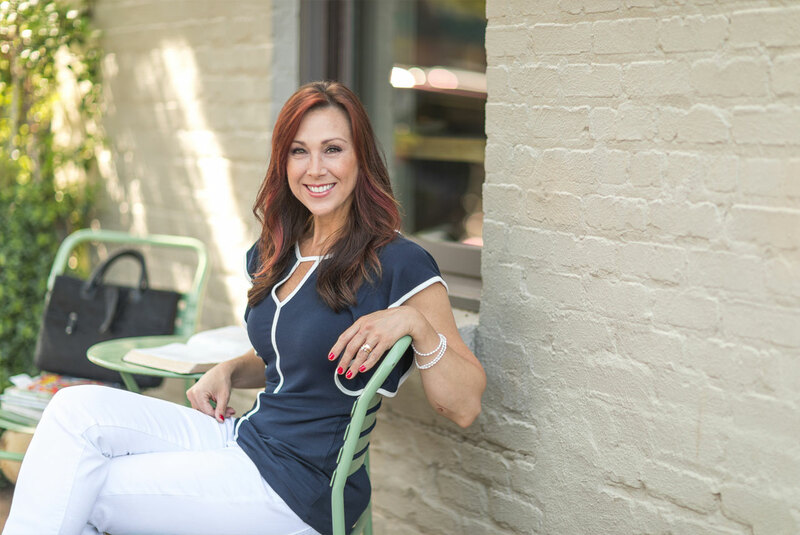 On my podcast, I interview incredible women who share practical and meaningful inspiration. I lead worship and perform concerts. I coach. I write books, devotions and songs. I post, pin and tweet on social media and am obsessed with the beauty of community. All to encourage and challenge you toward the heart of Jesus in His grace and truth. And I’m a Bible girl. Every conversation we have will center around the Word because I believe, wholeheartedly, that the Bible is divinely inspired truth. Chase His heart with me? 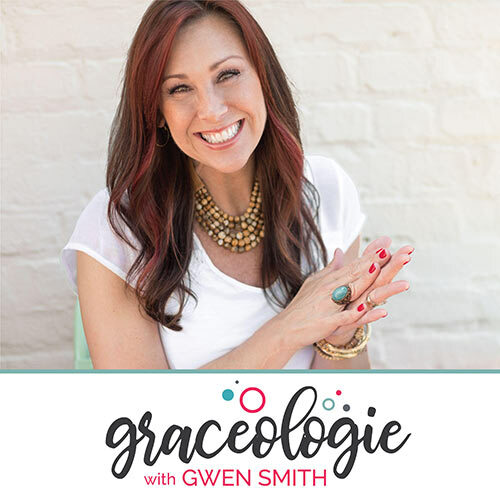 The GRACEOLOGIE with Gwen Smith podcast first aired in June, 2018 and is now in season 2. 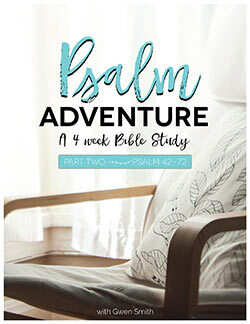 The heart of the show is to encourage Christian women through fun, faith-focused, grace-filled conversations that offer practical and meaningful help. I’ve written and co-produced 6 full-length CDs and 2 EPs (both worship and Christian contemporary songs). I was a staff songwriter and worship artist for Brentwood-Benson Music Publishing from 2008-2011, have written freelance for LifeWay and Lillenas Publishing, and now occasionally write for Grace Girl Music, in collaboration with Sunday Best Music out of Nashville, Tennessee. I am a coffee-craving, potato-chip-eating, dark chocolate lover who struggles like many with dirty dishes, messy piles, mountains of laundry, complicated emotions and cellulite. I play guitar and live to lose myself in worship at the piano. Volleyball is my sport of choice. Love. That. Game. Some blog posts and pages contain affiliate links. This means that when you click on links to various merchants on this site and make a purchase, this can result in a commission that is credited to this site. Some affiliate programs and affiliations include, but are not limited to Amazon.com and iTunest. I only recommend companies, products, and music that I personally love and I believe will benefit you. This disclosure complies with the FTC’s 16 CFR, Part 25: “Guides Concerning the Use of Endorsements and Testimonials in Advertising.” For more information, click here.